You may receive updates from Waterkeeper Alliance, the sponsor of this letter campaign. 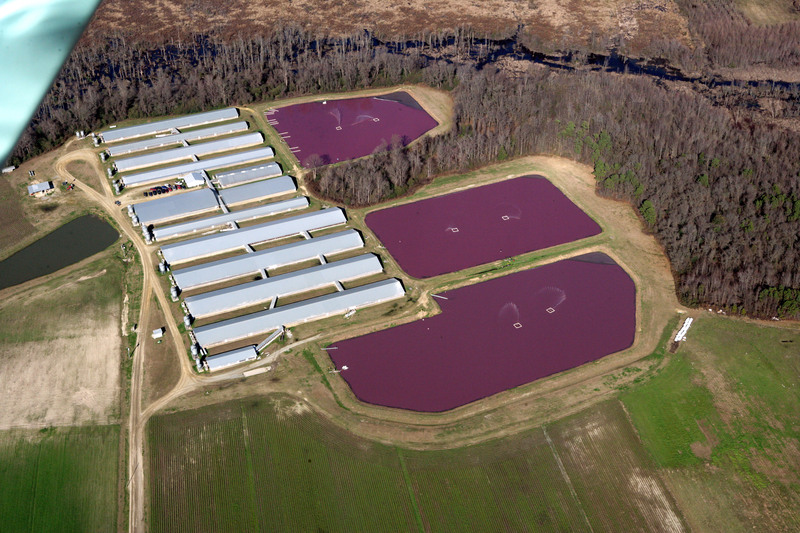 Raise a stink about North Carolina’s hog waste crisis! North Carolinians live with the highest density of hogs of any state in the nation, but state regulations around the 9.5 billion gallons of waste those hogs generate each year are lax. Almost all that waste is governed by a general permit that allows it to be kept in unlined open cesspools, often the size of football fields, then sprayed on nearby cropland. When the sprayers are on, neighbors must shut their windows on even the hottest days, or risk droplets of manure and urine blowing into their homes. The system of cesspools and sprayers is a cheap way for hog producers to manage waste, but it costs North Carolina an uncounted fortune: Toxic emissions from industrial hog operations foul our air, contaminants from hog feces and urine pollute our waters, and neighbors of industrial operations live shorter lives.